Quebec-based magazine La Maison du 21e siecle asked physician David O. Carpenter, former founding dean of the University at Albany (NY)’s School of Public Health, to comment on a letter published in the Montreal daily Le Devoir last May 24. This letter claimed wireless smart meters pose no risk to public health. Some fourty international experts contributed to the following rebuttal. on the health effects of electromagnetic fields (EMFs). We wish to correct some of the gross misinformation found in the letter regarding wireless “smart” meters that was published in the Montreal daily Le Devoir on May 24. 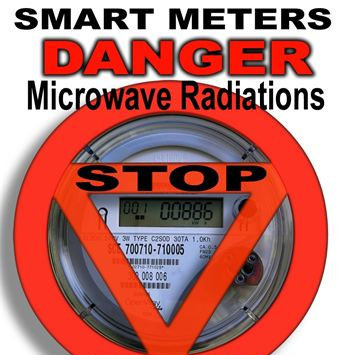 Submitted by a group Quebec engineers, physicists and chemists, the letter in question reflects an obvious lack of understanding of the science behind the health impacts of the radiofrequency (RF)/microwave EMFs emitted by these meters. Public fears about wireless smart meters are well-founded. They are backed by various medical authorities such as those of the Santa Cruz County(California) Public Health Department. These authorities are worried about the growing number of citizens who say they have developed electrohypersensitivity (EHS), especially since for many of them, the symptoms developed after the installation of such meters (it takes some time for most people to link the two events). In addition to these erratic bursts of modulated microwaves coming from smart meters that are transferring usage data to electric, gas and water utilities, wireless and wired smart (powerline communication) meters are also a major source of ‘’dirty electricity’’ (electrical interference of high frequency voltage transients typically of kilohertz frequencies). Indeed, some scientists, such as American epidemiologist Sam Milham, believe that many of the health complaints about smart meters may also be caused by dirty electricity generated by the « switching » power supply activating all smart meters. Since the installation of filters to reduce dirty electricity circulating on house wiring has been found to relieve symptoms of EHS in some people, this method should be considered among the priorities aimed at reducing potential adverse impacts. Indeed, the Salzburg State (Austria) Public Health Department confirms its concern about the potential public health risk when in coming years almost every electric wire and device will emit such transient electric fields in the kilohertz-range due to wired smart meters.